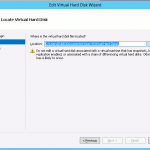 If your Hyper-V Virtual Machine run out of virtual disk space, you can add and expand the disk as long as you have enough physical space available. 1. Before we begin, let’s take a look at the disk size. 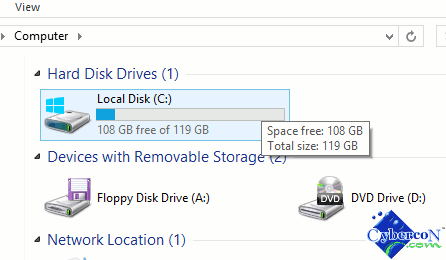 In my example, it is a 80GB disk. 2. 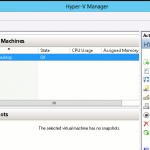 Now, power down the Virtual machine so that it state is “off” in the Hyper-V Manager. 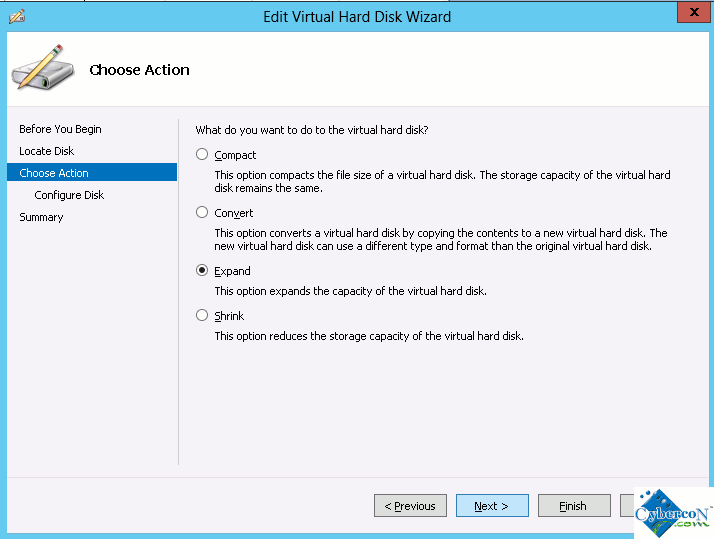 After that, highlight the Virtual Machine and then click “Edit Disk…” under “Action” on the right. 3. 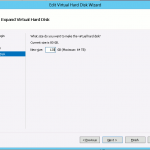 A Edit Virtual Hard Disk Wizard window will pop-up on the screen. To continue, simple click the “Next” button. 4. 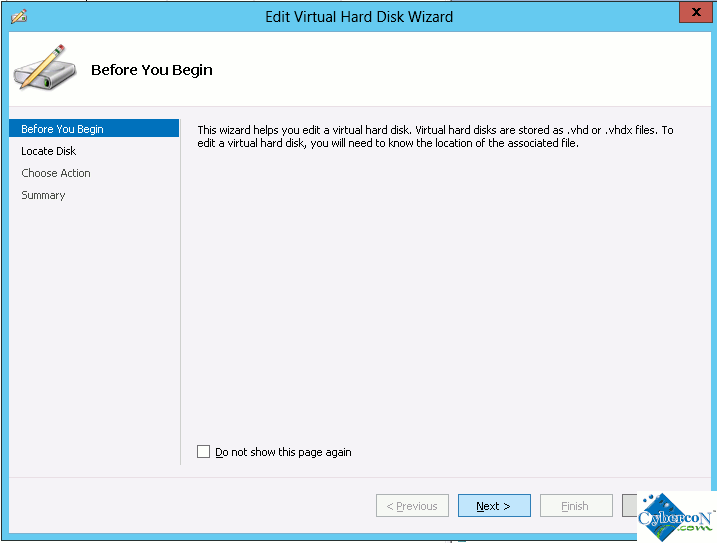 Locate the Virtual Hard Disk by clicking the “Browse…” Button. 5. 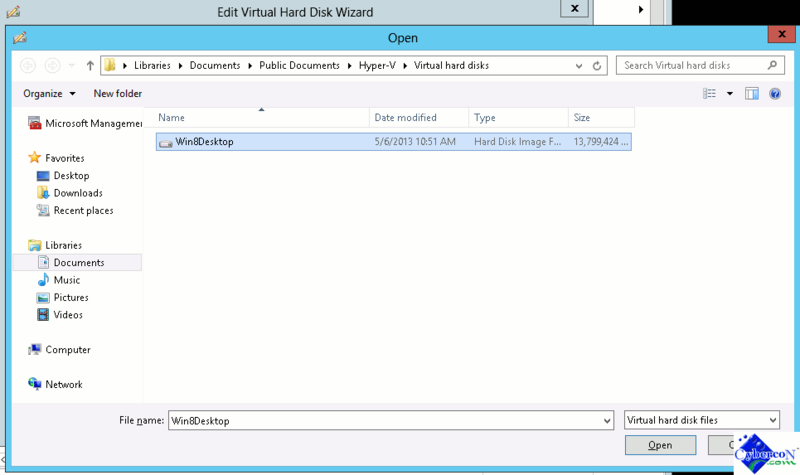 Once you find the correct virtual disk, highlight it and then click “Open”. 6. In the next screen, you can choose 4 different actions you can do to the virtual disk. In this example, we go with “Expand”. Click “Next” to continue. 7. 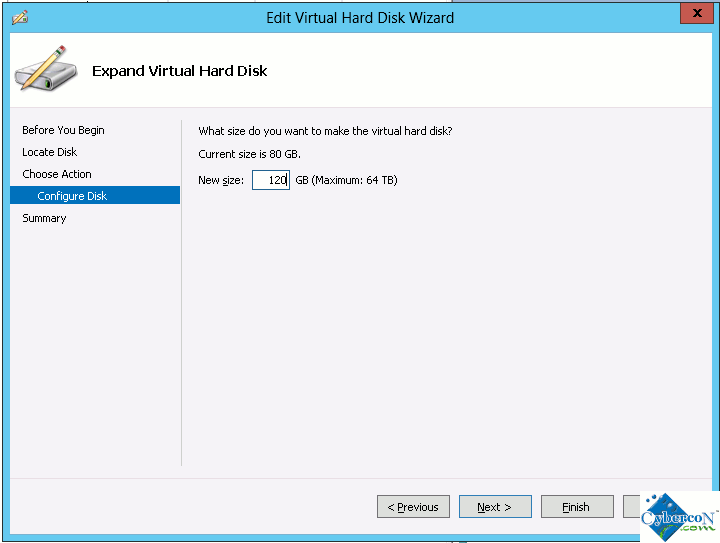 Now, enter the new disk size you like you virtual disk to be expanded to. 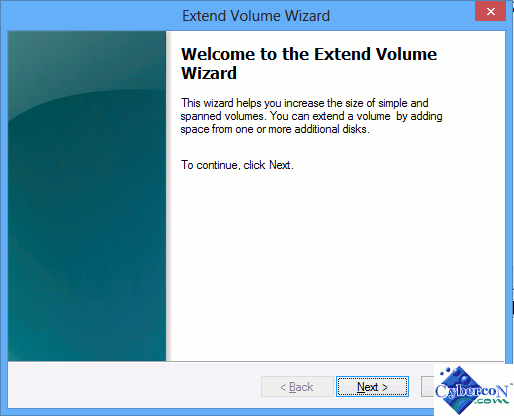 In this example, I enter “120GB” in the text box provided and click “Next”. 8. 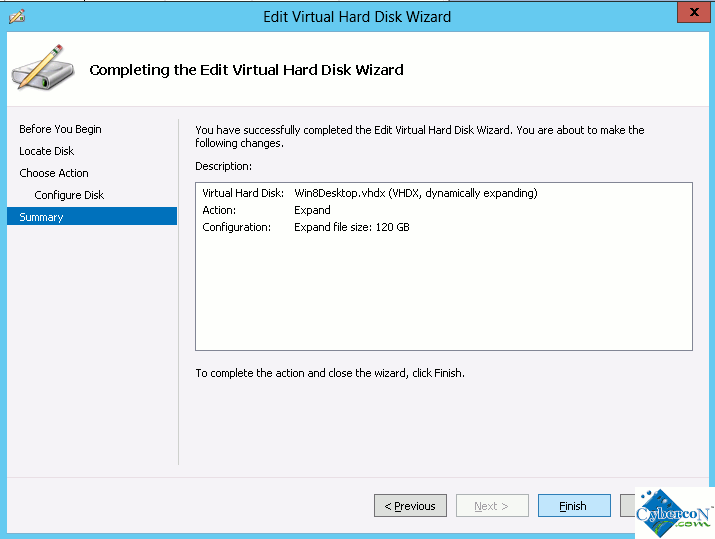 Virtual Disk expanding summary. If everything is correct, hit “Finish” to proceed. 9. 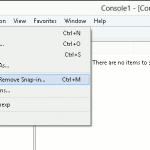 Once that is done, you can start/power on the virtual machine follow by “Connect…” to the Virtual Machine console. 10. 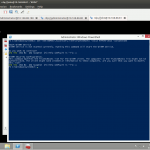 Open the Windows 8 or Windows Server 2012 search page and type computer. 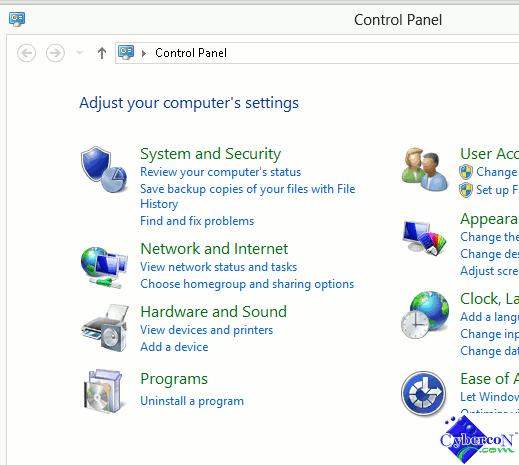 Once the Computer app appears on the left, right click the “Computer” and choose “Manage” at the bottom. 11. 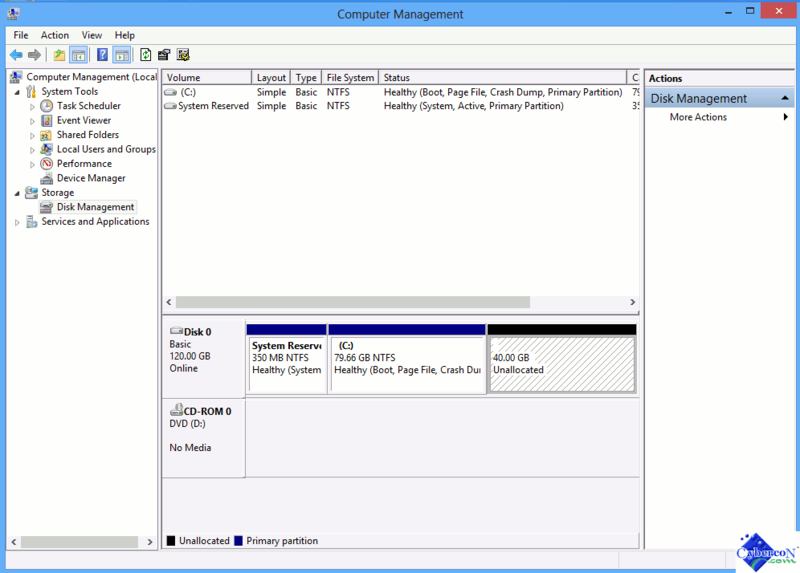 In the “Computer Management” screen, choose “Disk Management” under “Storage”. 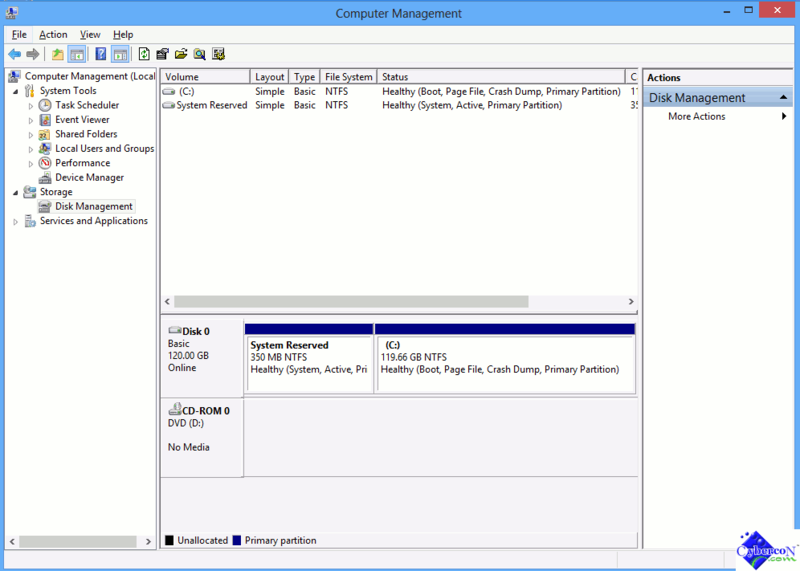 You should see the additional space listed on the screen now as Unallocated space. 13. A Windows Extend Volume Wizard will pop-up to guide you through the drive expansion process. Click “Next” to begin. 14. 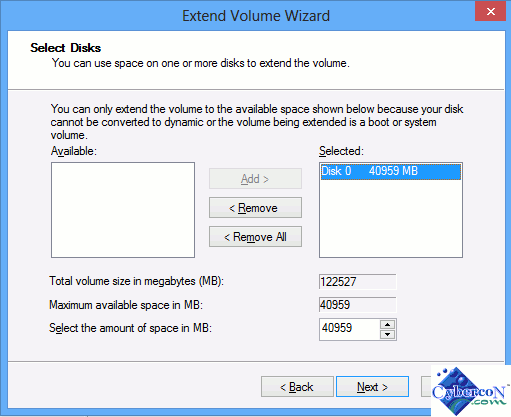 Select the disk you like to expand and choose the amount of space you like to expand. Once that is done, click “Next”. 15. That should do it. Just click “Finish” to exit. 16. 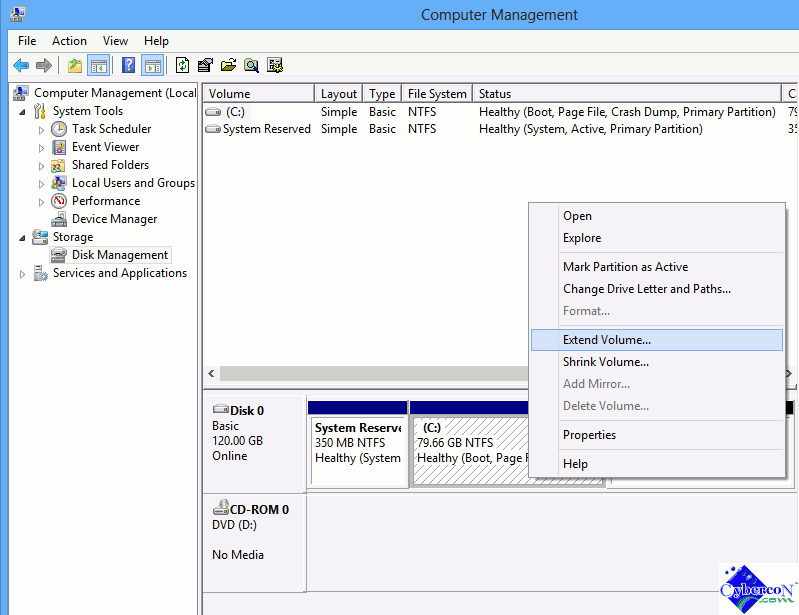 At this point, you should see the new size of the virtual disk inside the Disk Management screen. 17. 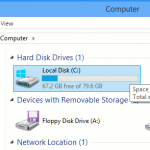 If you open the Windows Explorer again, you should notice the changes in “Total size”. 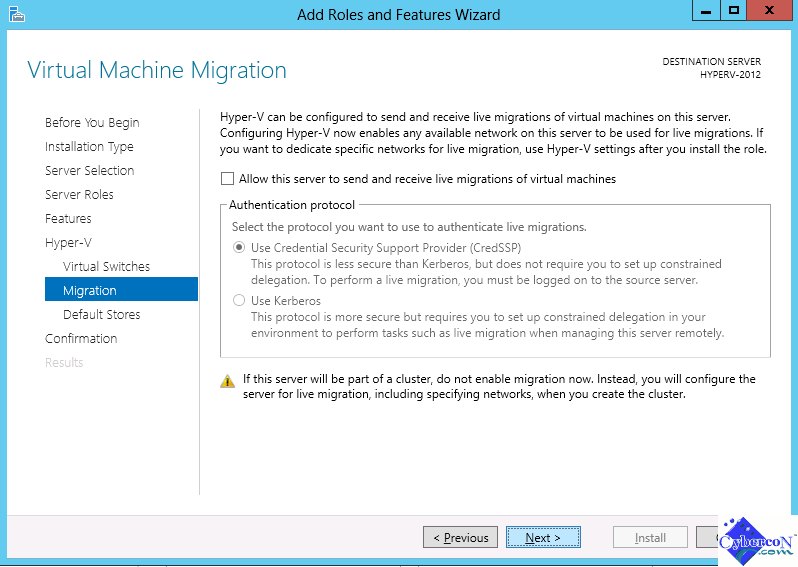 1. launch Microsoft Hyper-V Manager from your Windows 8 or Windows server 2012. 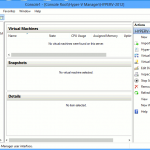 Locate the Virtual Machine you need to access via console, right click on it and choose “Connect…”. 2. Done. 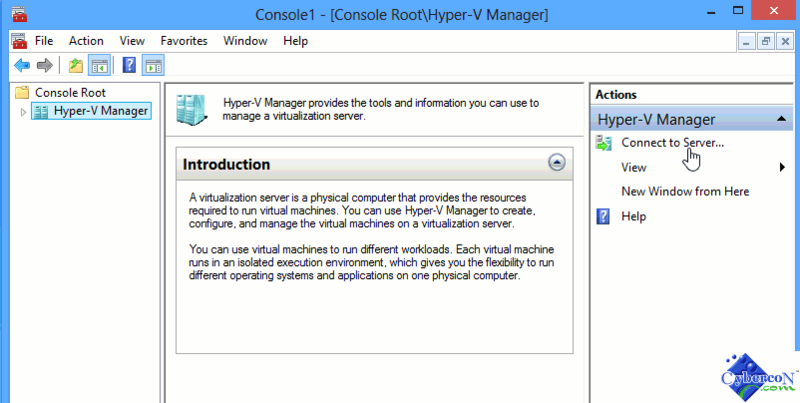 You are now have access to the Virtual Machine via the console from Hyper-V Manager. 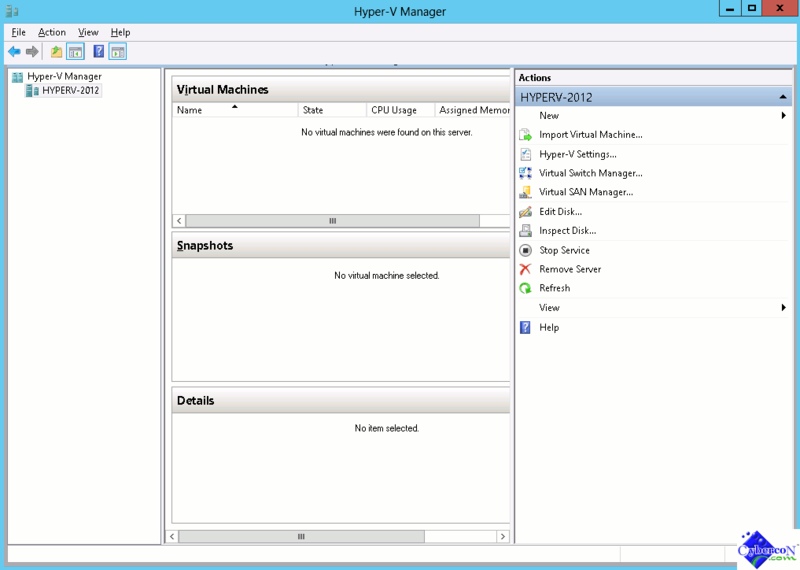 Microsoft Hyper-V Manager allow users or administrator to manage Hyper-V server as well as the Virtual Machines running inside the Hyper-V server. 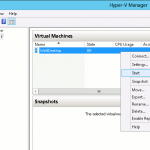 In this article, I am going to show you how to create a Virtual Machine in Hyper-V by using the Hyper-V Manager. 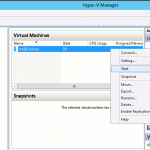 You can run Hyper-V Manager from Windows server 2012 or Windows 8 Desktop. 1. 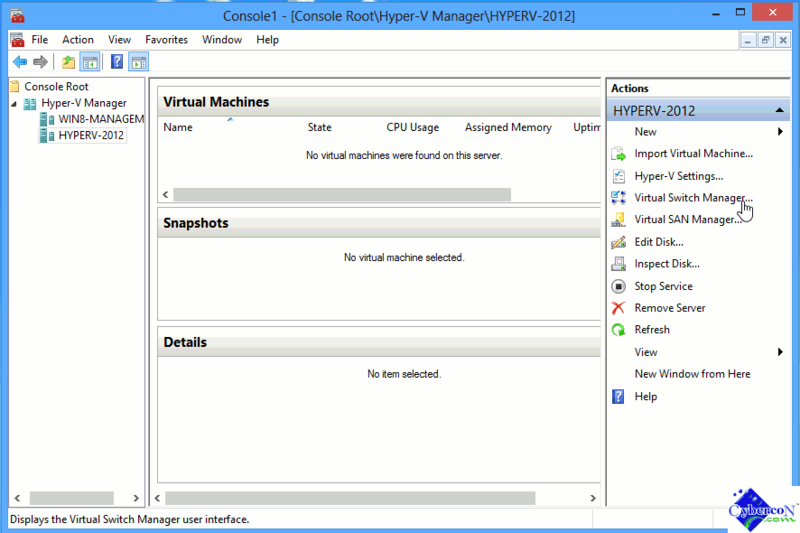 Launch Hyper-V Manager from the Windows Machine. And then click “New” on the right. 3. 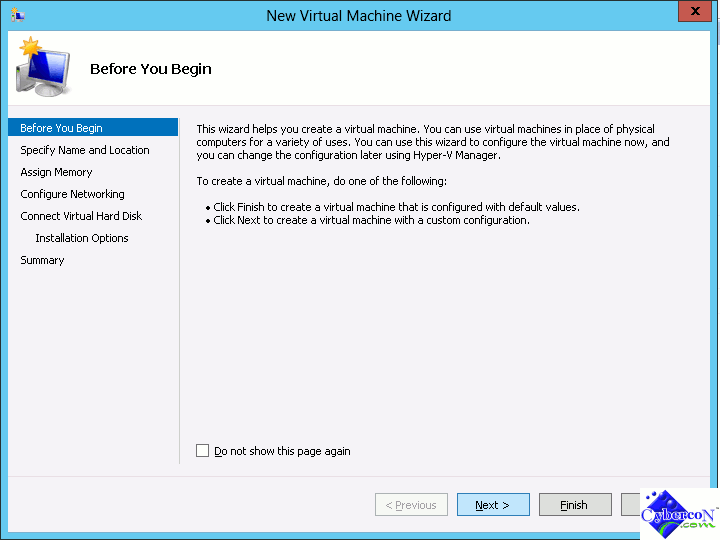 In the next screen, which is the New Virtual Machine Wizard opening screen, just click “Next” to continue. 4. 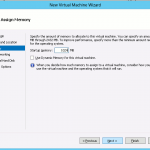 Enter the name of the new Virtual Machine you are planning to create. 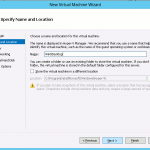 If you do NOT want to place the new Virtual Machine configuration files to the default directory, you can change it now. Otherwise, click “Next” after you enter the Machine name. 5. 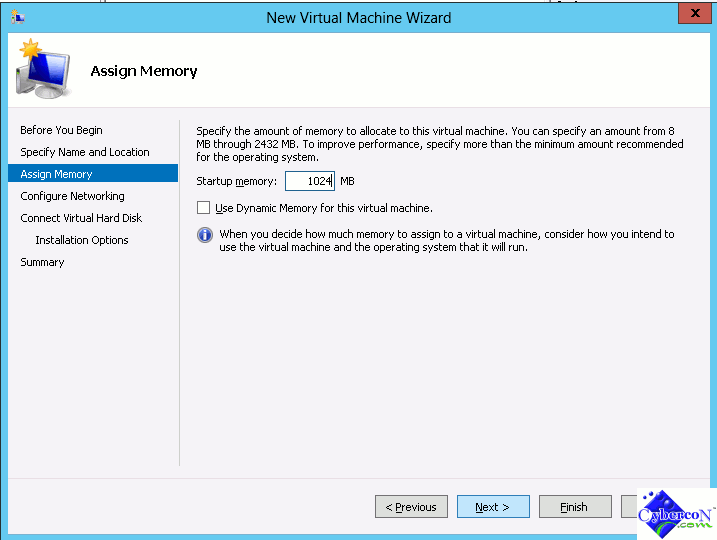 Enter the amount of system memory you like to allocate to the new Virtual Machine. Click “Next” to continue. 6. Select the Virtual Switch from the “Connection” drop down box. 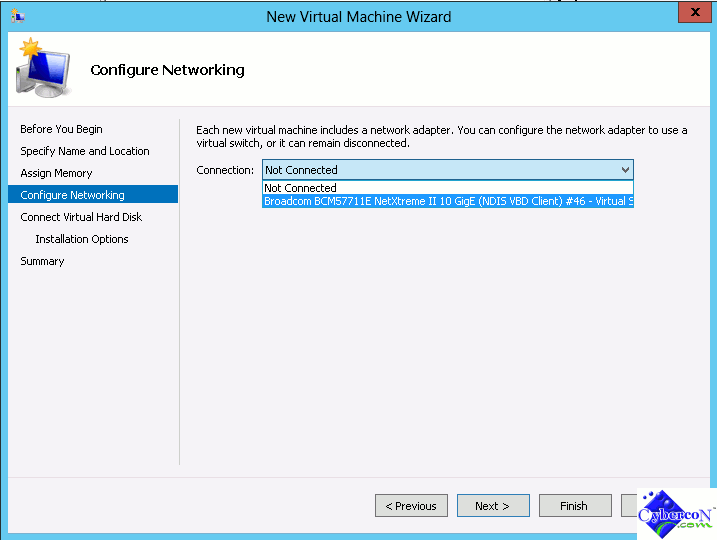 If you have not create a Virtual Switch yet, you need to do it before creating a Virtual Machine in order to have network access. Once you select your Virtual Switch, click “Next”. 7. 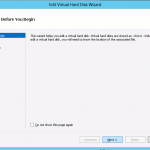 Create/Connect to a Virtual Hard Disk. 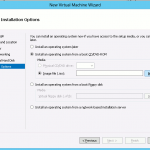 In this step, you can create a new Virtual Disk or connect to an existing disk. Choose the option you need to click “Next”. 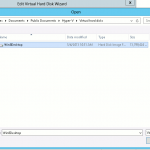 In this example, I need to create a new Virtual Disk. 8. 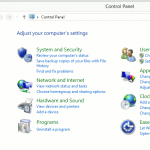 For other installation options such as the CD/DVD ROM Drive. You can define it in this screen. 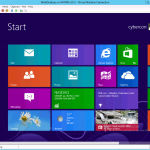 I am going to install Windows 8 Desktop operating system for this Virtual Machine with an ISO image. 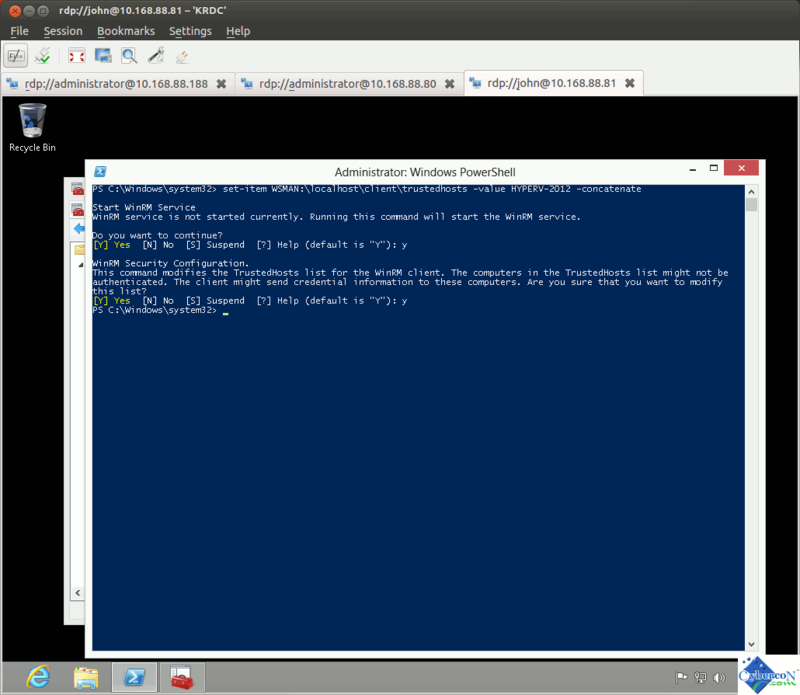 So I choose “Install an operating system from a boot CD/DVD-ROM and then click the browse button to locate the Windows 8 ISO file. 9. 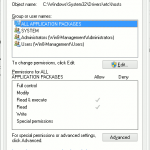 Browse and locate the OS ISO file and click “Open”. 10. Once the ISO file is located, click “Next”. 11. In the Summary screen. Double check and make sure everything is correct. If yes, press “Finish” to proceed the installation. 12. 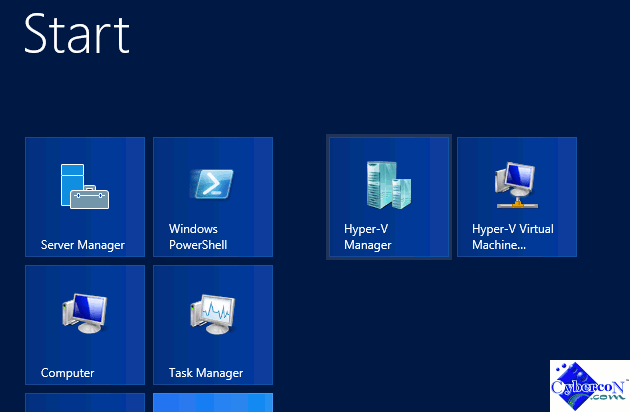 That should bring you back to the Main screen of the Hyper-V Manager. 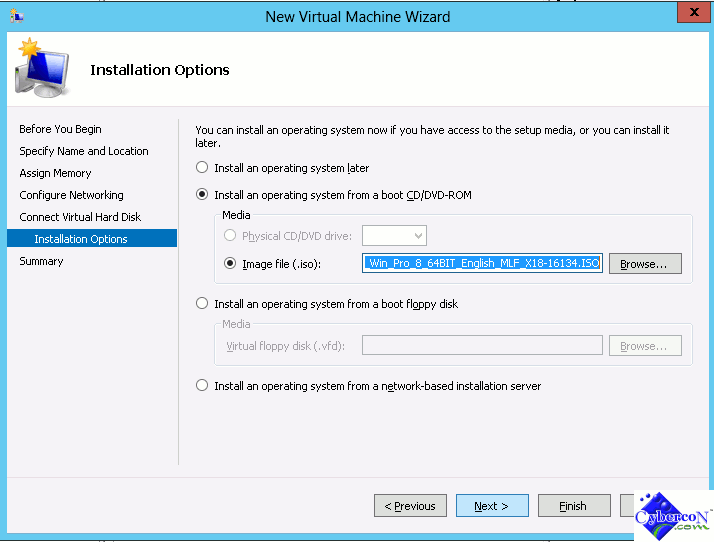 And you should see the newly created Virtual Machine listed under the Virtual Machines List. 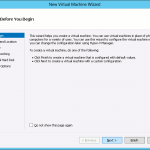 Right click the Virtual Machine and choose “Start” to power up the Virtual Machine. 13. 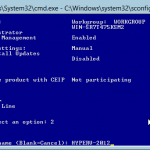 Now, a new Window should pop-up and you should see the Virtual Machine console screen with the OS installation screen. 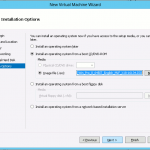 After the installation is complete, you Virtual Machine installation is done. 1. 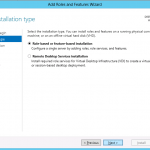 After you install the Windows Server 2012. 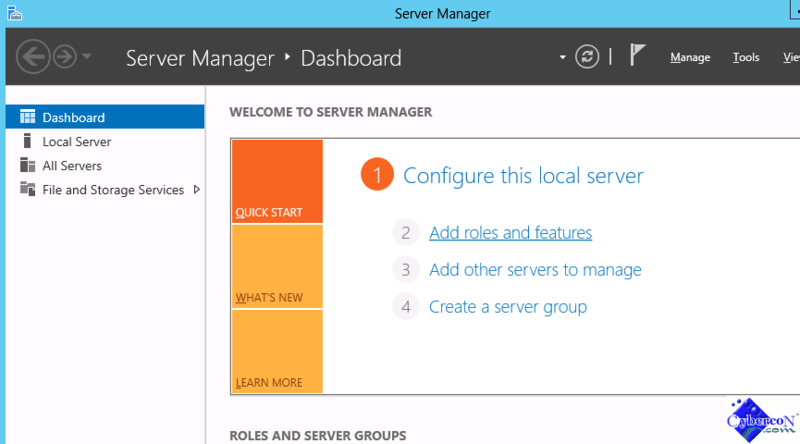 By default, the Server Manager will pop-up after you boot the server up. 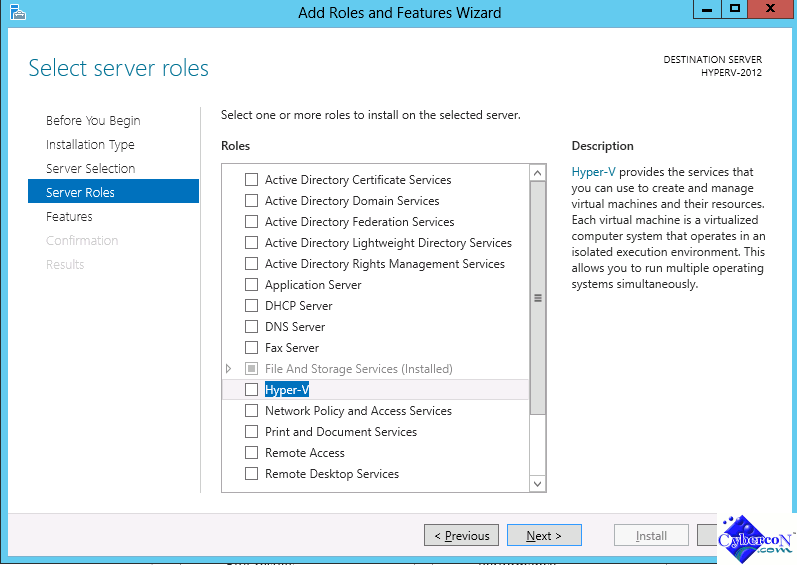 In the Server Manager, click the “Add roles and features” link. 2. 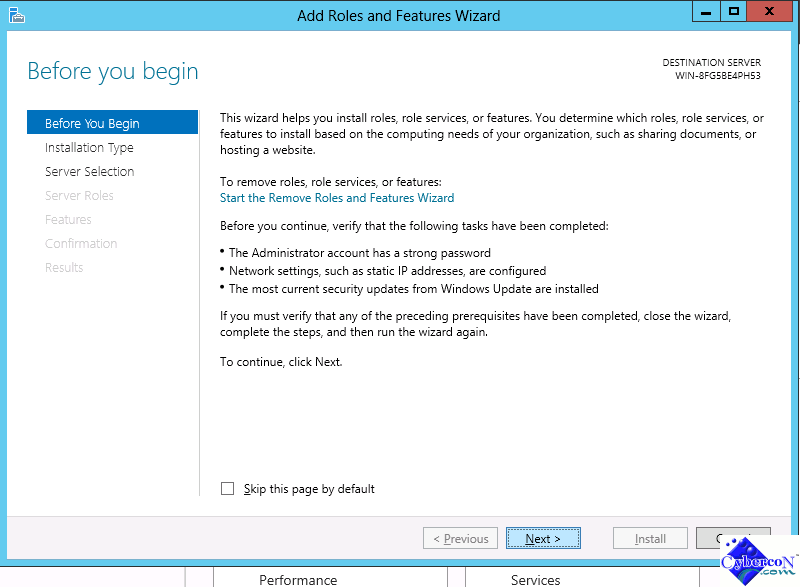 That will bring up the “Add Roles and Features Wizard” window. Just click “Next” to continue. 3. 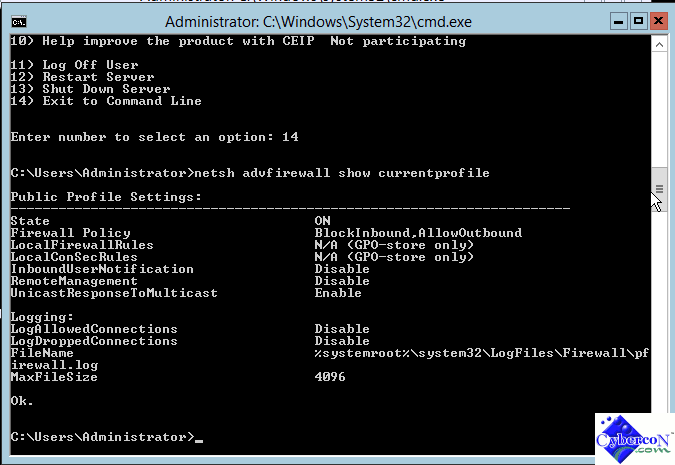 In the next screen, choose Role-based feature-based installation and click “Next”. 4. 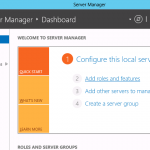 Choose “Select a server from the server pool”, then highlight your server and click “Next”. 5. 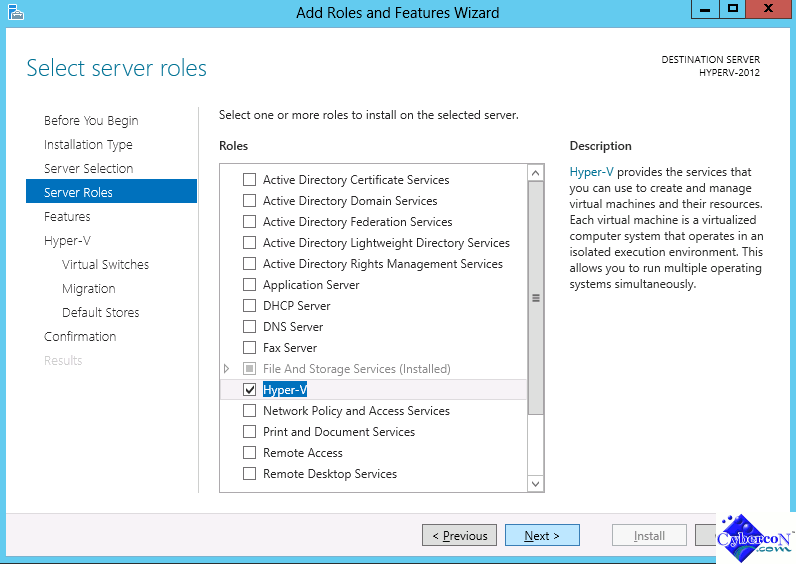 In the “Select server roles” screen, locate “Hyper-V” from the Roles list and check the box next to it. 6. 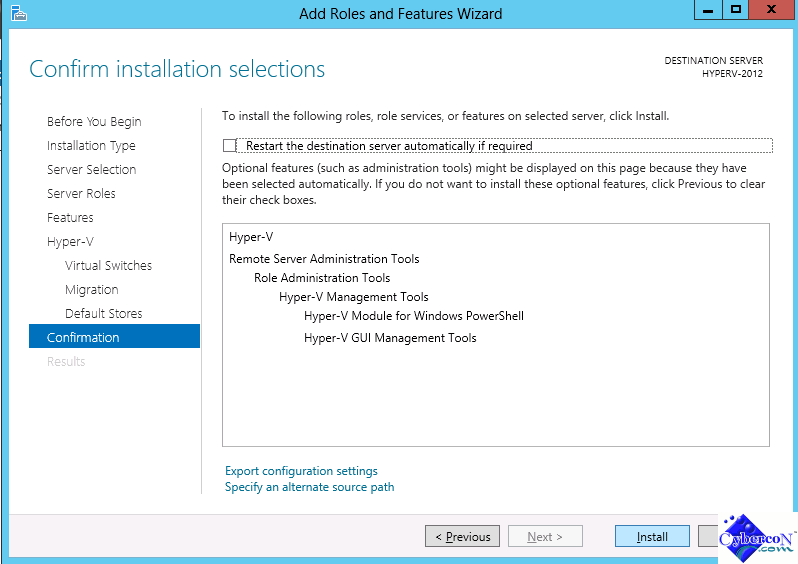 To add Hyper-V, the system will also ask you to install the Administration tools for Hyper-V. Click “Add Features” to continue. 7. 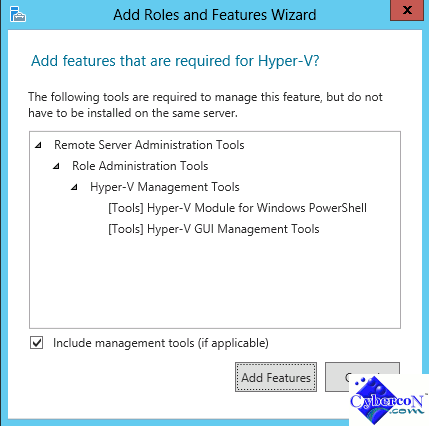 Once Hyper-V is selected in the “Select server roles” screen, click “Next” to continue. 8. If you like to add more roles or features, you can do so now. Otherwise, just click “Next”. 9. 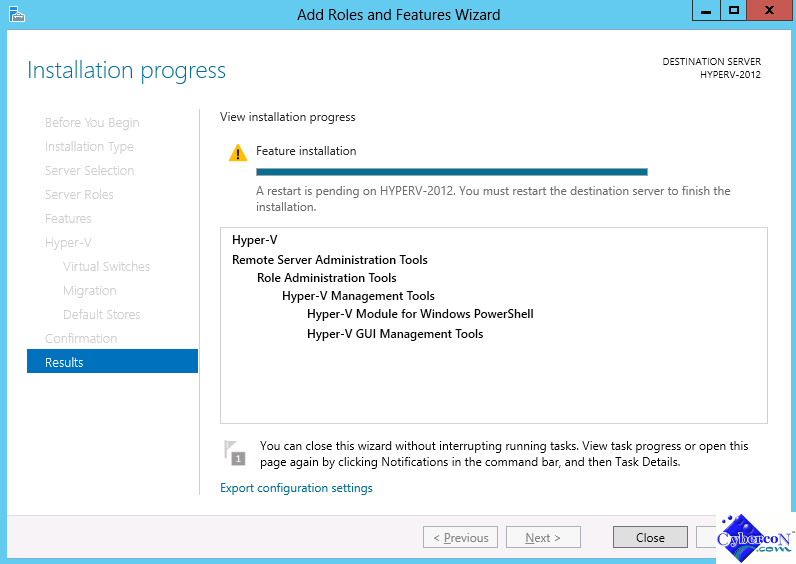 In the next few screens, you will need to configure the Hyper-V. Click “Next” to start Hyper-V configuration. 10. 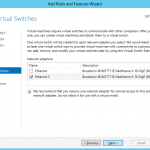 Select the Network interface you like to bind to a Virtual Switch you are going to create. 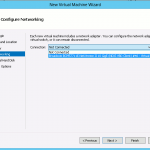 In order for the Virtual Machines to connect to other network (such as the internet), you need to create a Virtual Switch with a physical Network Interface attached to it. 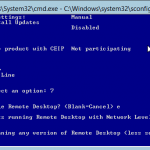 In this example, I select “Ethernet2” and click “Next”. 11. 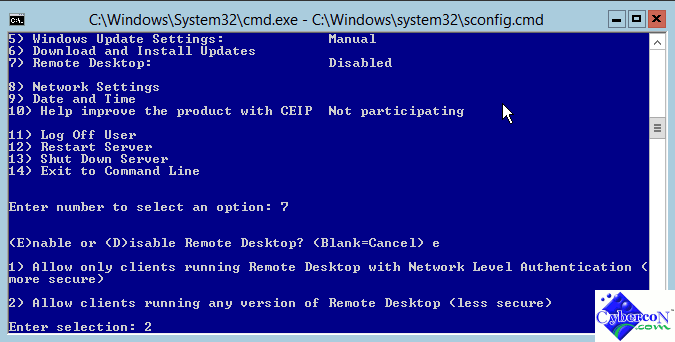 In the next screen, since I am not planning to use Live Migration in this setup, so I just click “Next”. 12. 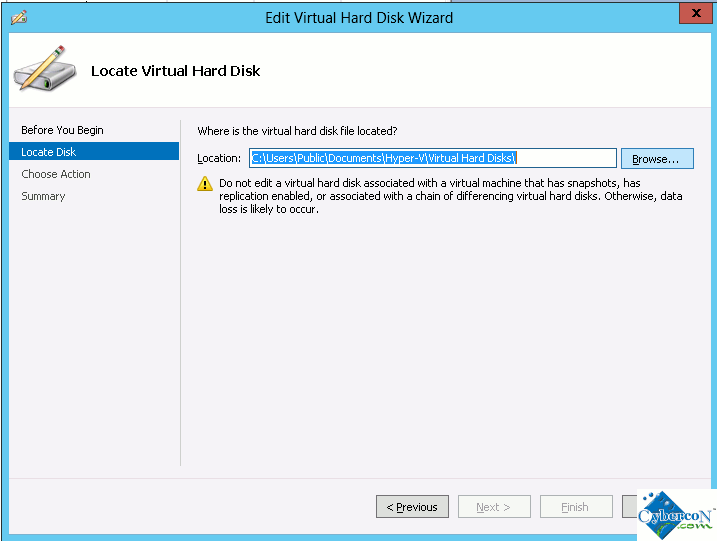 Now, you need to define the default directories for the virtual hard disks as well as the virtual machine configuration. To accept the default settings, just click “Next”, otherwise, change the directory before you click the “Next” button. 13. You are at the confirmation screen. 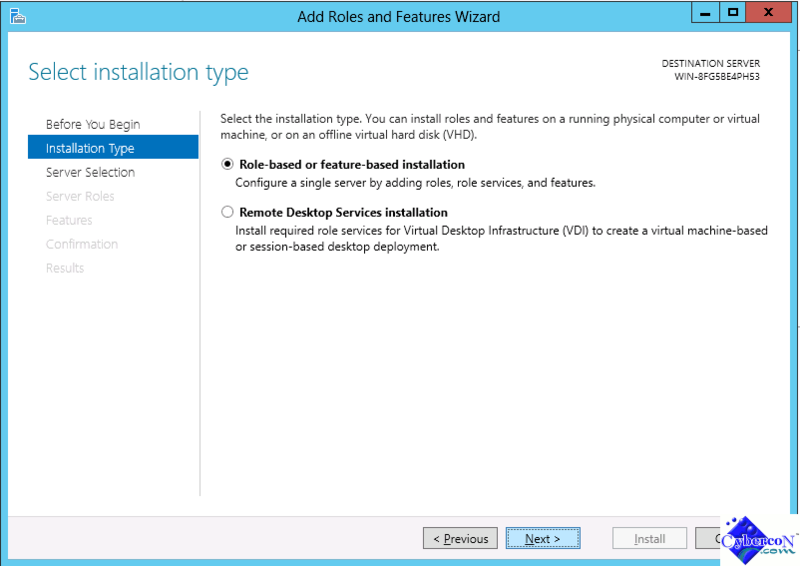 Click “Install” to start the installation process. 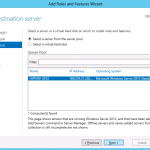 You can check the box next to “Restart the destination server automatically if required” if you like the server to reboot after the installation. 14. 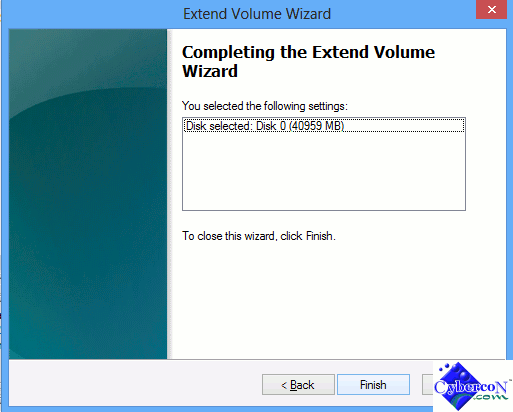 Once the installation is done, you can click to “Close” button to exit the installer. 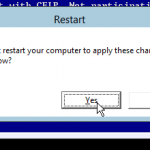 If you check the reboot box in the previous screen, the server will reboot by itself. 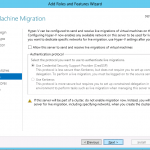 If you did not check the box, you will need to reboot the server manually to finish the installation. 15. 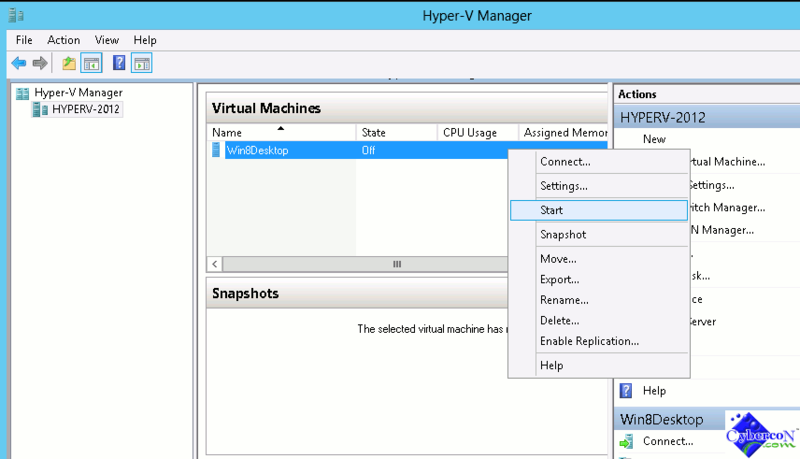 Once the server is rebooted, you can access the Hyper-V Manager from the Metro interface of the server. 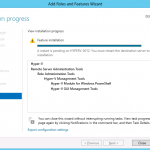 Microsoft Hyper-V Server 2012 is a standalone hypervisor based server virtualization software. 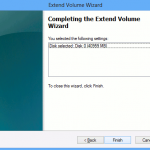 It is a great product for organizations to consolidate servers or desktops where no new licenses are required. 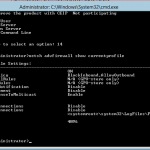 Alternatively, organizations may also elect to install an alternative OS such as Linux operating system. 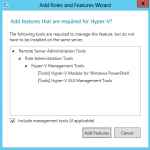 Since Microsoft Hyper-V Server 2012 is a small foot print stand alone product, local GUI based management tools are not available. 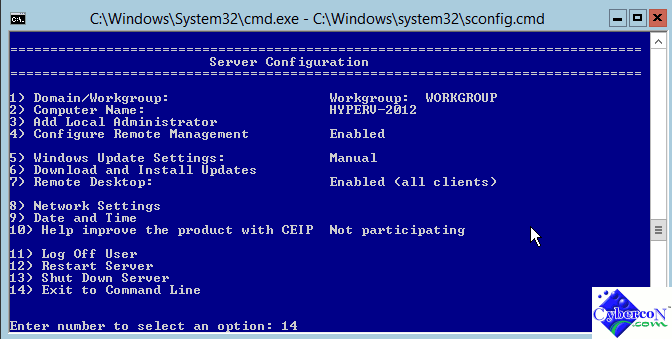 Administrator can still manage the Hyper-V Server 2012 via command line. 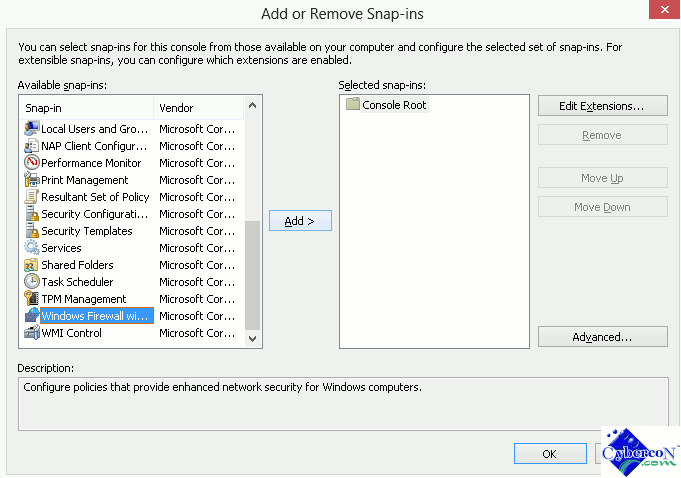 However, for those of you who prefer using a graphical interface, you can do so by using the optional MMC snap-in from Windows 8 desktop. 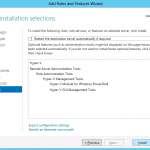 In the following section, I will show you how to do it without setting up any Active Directory Service. 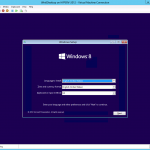 Before we begins, one thing we need to make sure is a local user account is needed inside the Windows 8 machine. 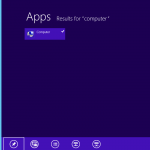 If you log in to your Windows 8 desktop via a Microsoft account users, you need to create a new local user. 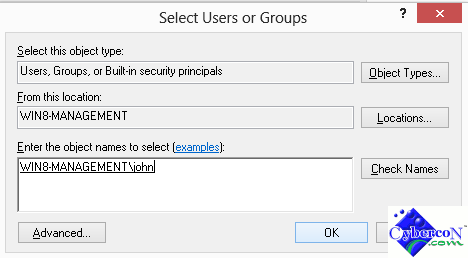 In our example here, I am using a local user “john”. 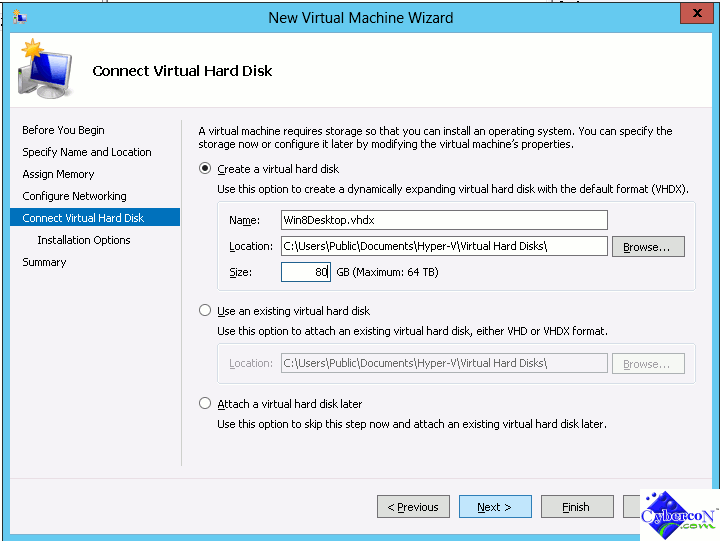 Basically, we need to use a common user for both Windows 8 desktop and the MS Hyper-V Server 2012 machine. 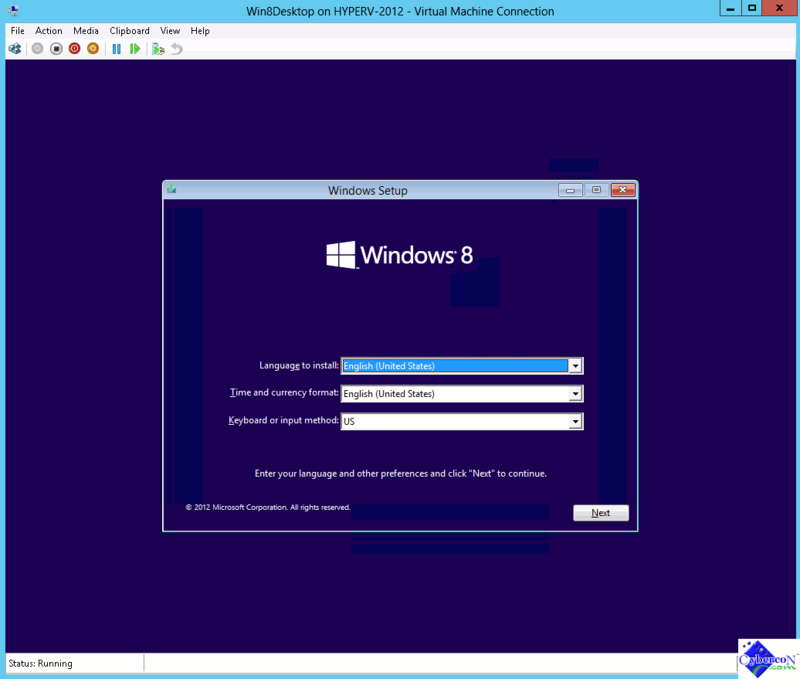 Note: Steps begins with (WINDOWS 8) means performing the steps inside the Windows 8 desktop while (HYPER-V) means performing the steps inside the Hyper-V 2012 Server. 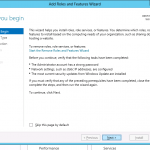 (WINDOWS 8) 1. 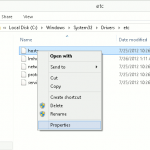 Start the Windows Explorer in your Windows 8 desktop. 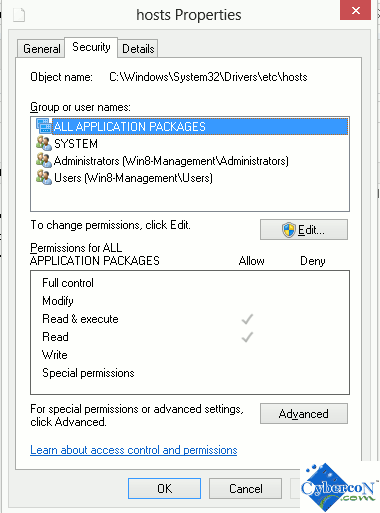 Go to “Local Disk C: -> Windows -> System32 -> Drivers -> etc” folders. 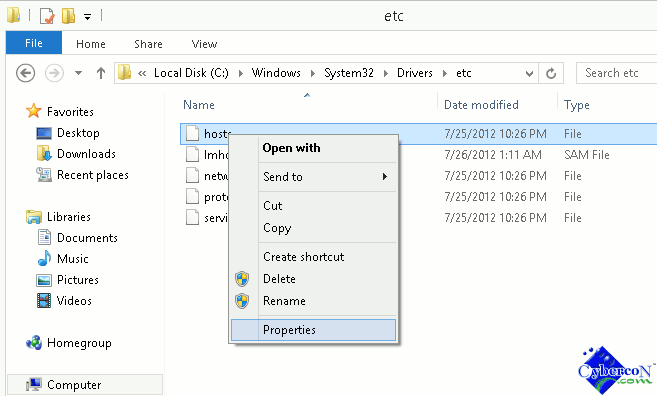 Inside the “etc” folders, you will find the file “hosts”. 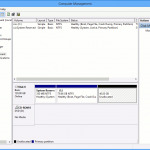 Right click the “hosts” file and choose “Properties”. (WINDOWS 8) 2. Click the “Edit” button. (WINDOWS 8) 3. 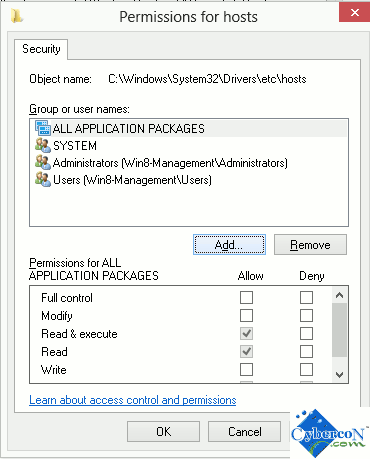 In the “Permissions for hosts” windows, click the “Add” button. (WINDOWS 8) 4. 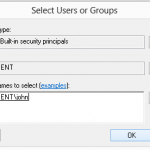 Inside the “Enter the object names to select” text box, enter the local user name. In this example. I enter “john” and follow by clicking the “Check Names” button. 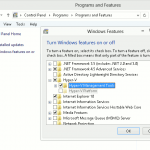 If user exists, Windows 8 desktop will response back with “<DESKTOP_MACHINE_NAME>\<LOCAL_USER_NAME>”. 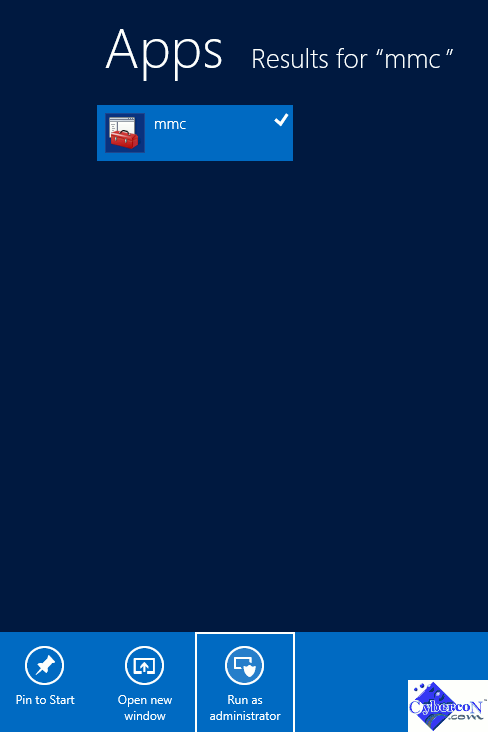 Since my Windows 8 desktop name is WIN8-MANAGEMENT, so it display “WIN8-MANAGEMENT\john” back. Click “OK” to continue. (WINDOWS 8) 5. 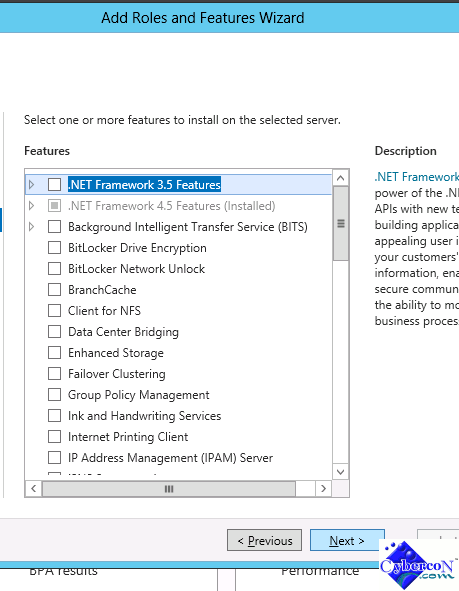 That should bring you back to the “Permission for hosts” window. Highlight the user you just added and check “Modify” box. Click “OK” to continue. (WINDOWS 8) 6. 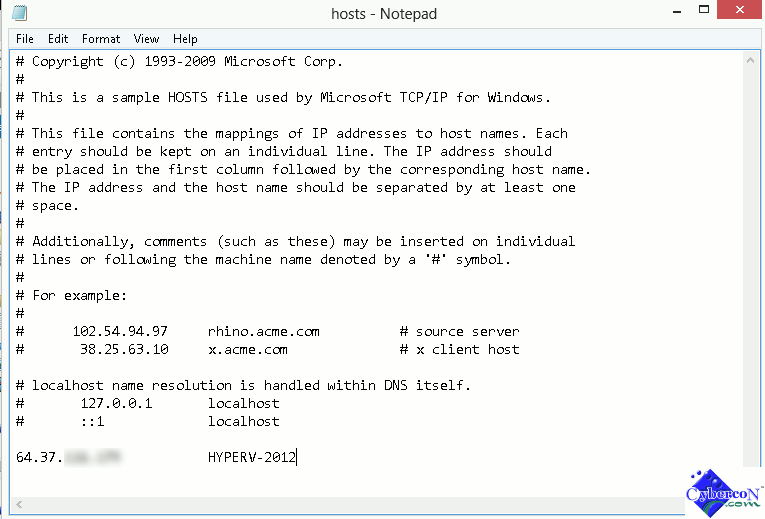 Next, open the “hosts” file in Notepad. 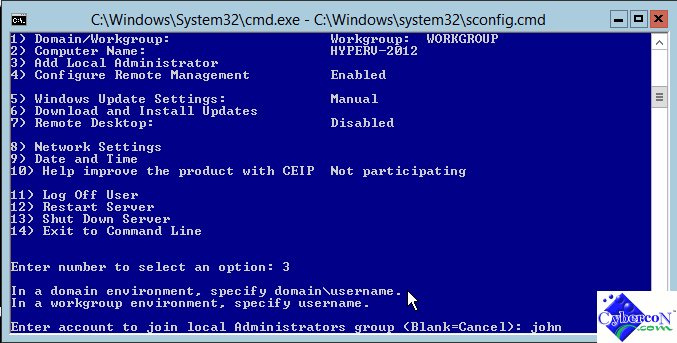 At the bottom of the file, enter the Microsoft Hyper-V Server 2012 IP Address and the Server name. You can use a fully qualify domain name if you like. 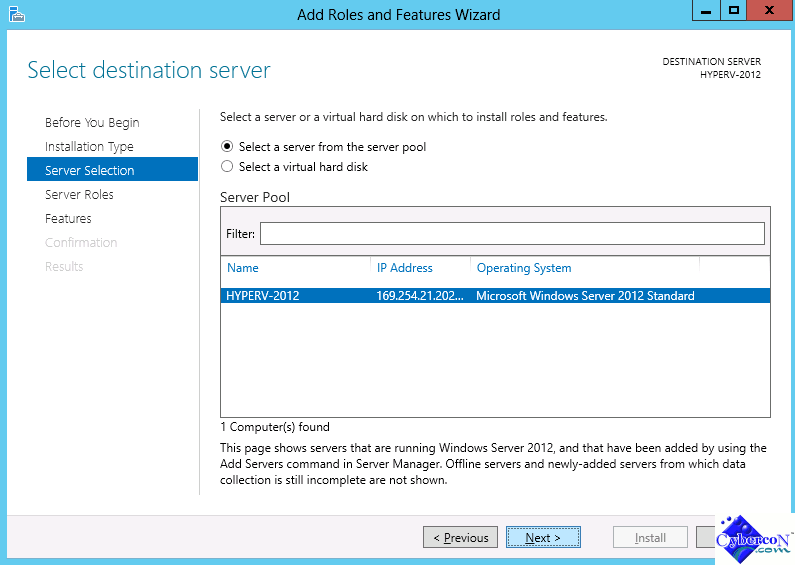 In this example, the server name is “HYPERV-2012”. (WINDOWS 8) 7. 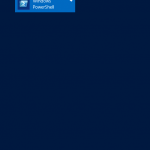 In the next step, open the Windows 8 search screen and enter “powershell” in the search box. 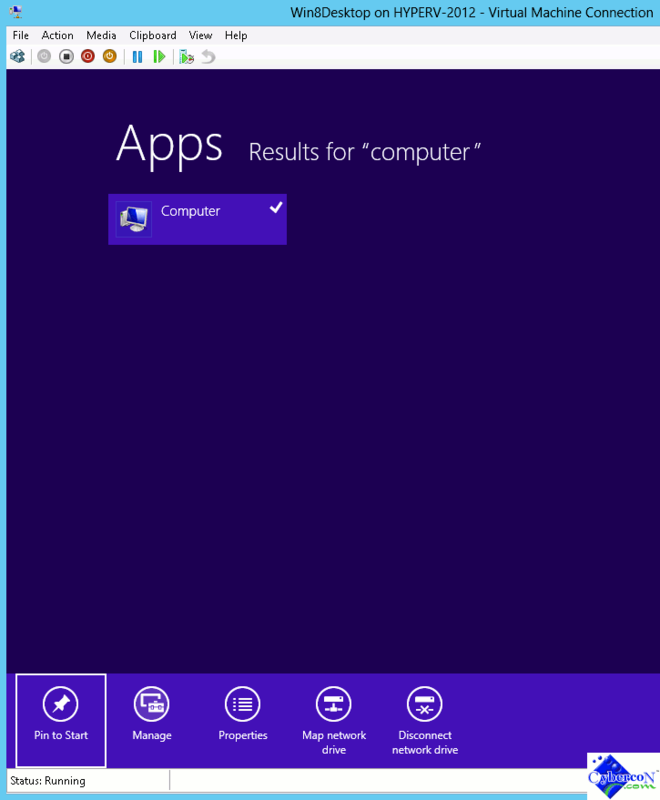 Windows 8 will show a matching apps on the left of the screen. (WINDOWS 8) 8. 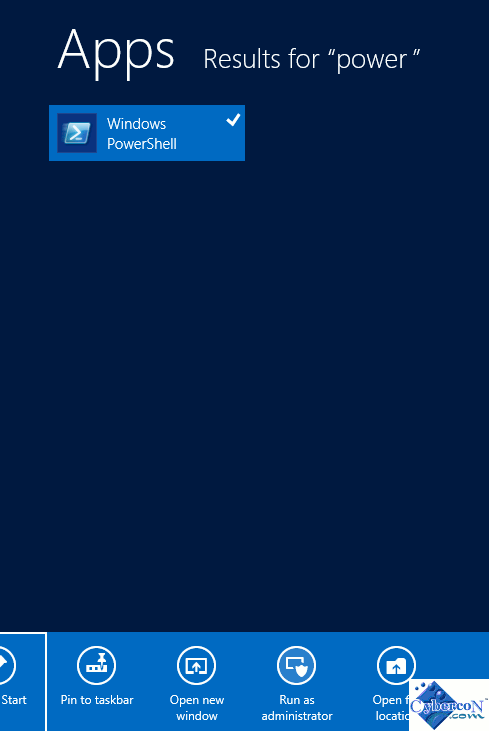 Once Windows 8 locate the PowerShell app, right click on the app and choose “Run as administrator” at the bottom of the screen. (WINDOWS 8) 9. 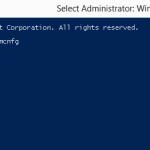 At the PowerShell command prompt, enter “dcomcnfg” and hit “Enter”. (WINDOWS 8) 10. 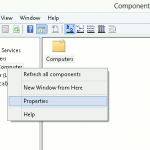 After that, “Component Services” Windows will pop-up. 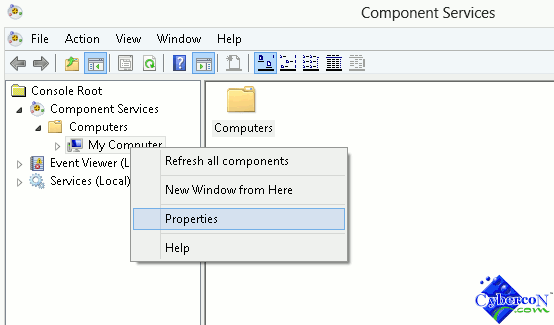 Expand the “Component Services” item on the left and locate “My Computer”. Right click “My Computer” and choose “Properties”. 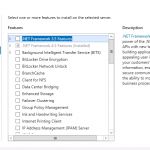 (WINDOWS 8) 11. 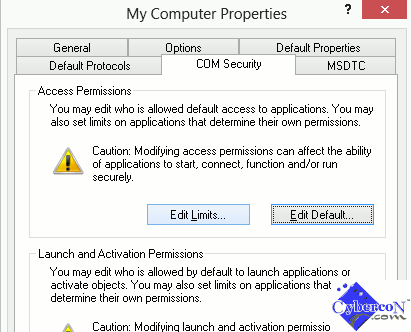 In the “My Computer Properties” window, click the “COM Security” tab follow by clicking the “Edit Limits…” button. (WINDOWS 8) 12. 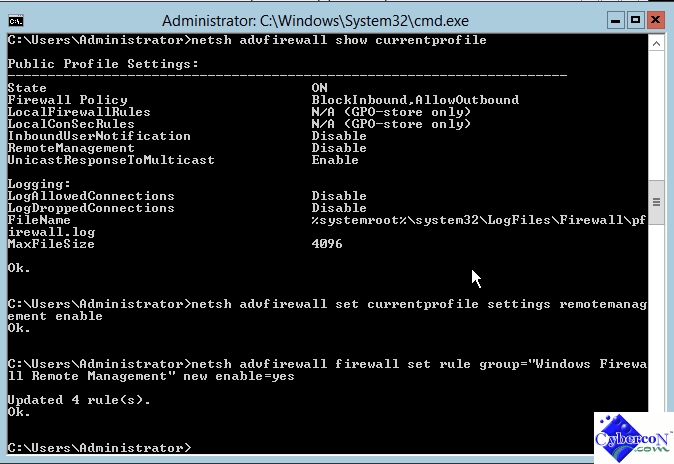 Single click the user name “ANONYMOUS LOGON” and check both “Local Access” and “Remote Access” under the “Allow” column. Click “OK” to continue. 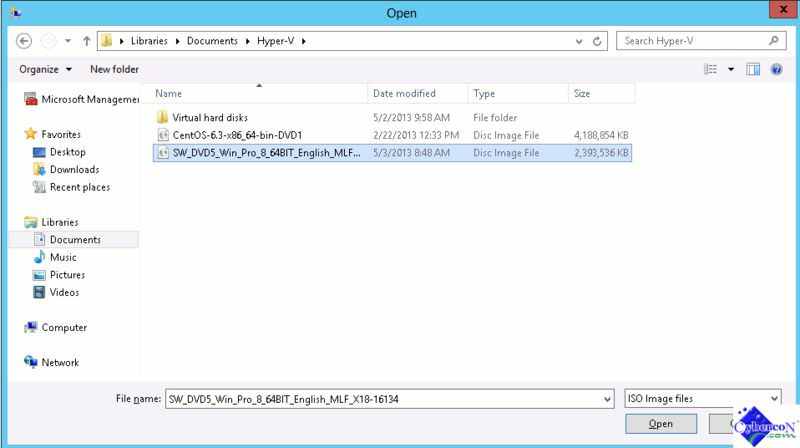 (HYPER-V) 13. 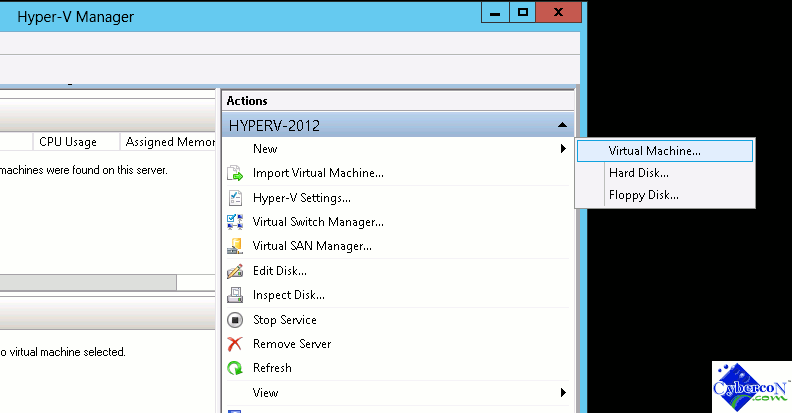 Now, switch to the MS Hyper-V Server 2012. 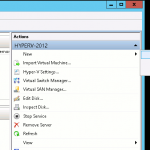 In the main menu of the Hyper-V server, enter “2” to change the Server name. 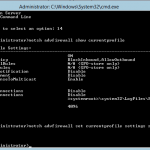 If you are at the command prompt, type “sconfig” to run the Server Menu. 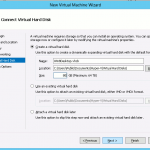 (HYPER-V) 14. 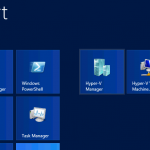 The Hyper-V server will restart after the name change. 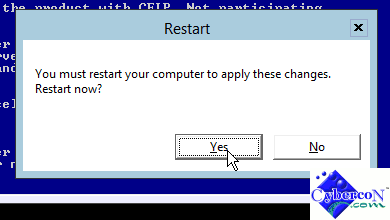 Just click the “Yes” button to proceed. 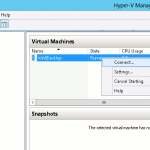 (HYPER-V) 15. 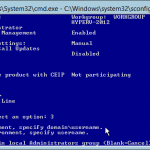 Once the server finish rebooting and back to the server Main Menu, type option “3” and enter a local administrator name. 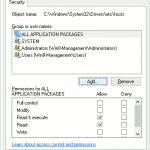 Make sure the name and password you choose are the same as in your local Windows 8 machine. 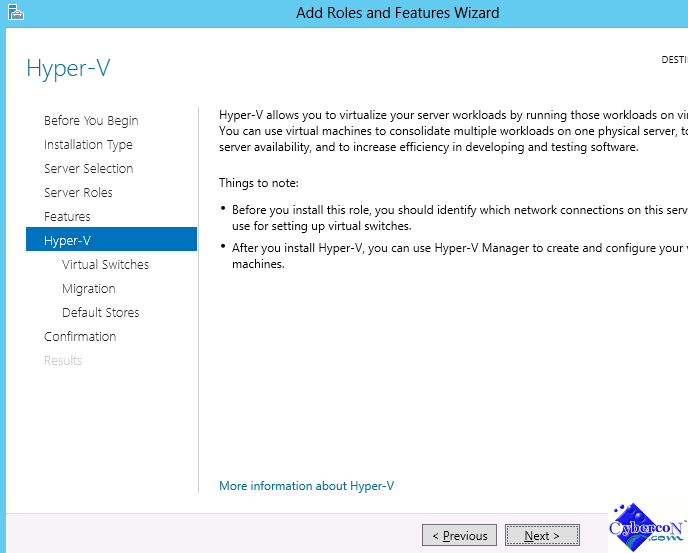 (HYPER-V) 16. Next, we need to allow Remote Desktop. In the Main Server Menu, enter option “7” follow by entering “e” and then “2”. 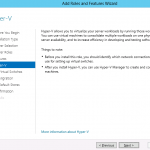 (HYPER-V) 17. 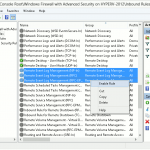 It is easier for us to manage the Server firewall software remotely via the Windows 8 Desktop. So in the next few steps here, I am going to show you how to do it. 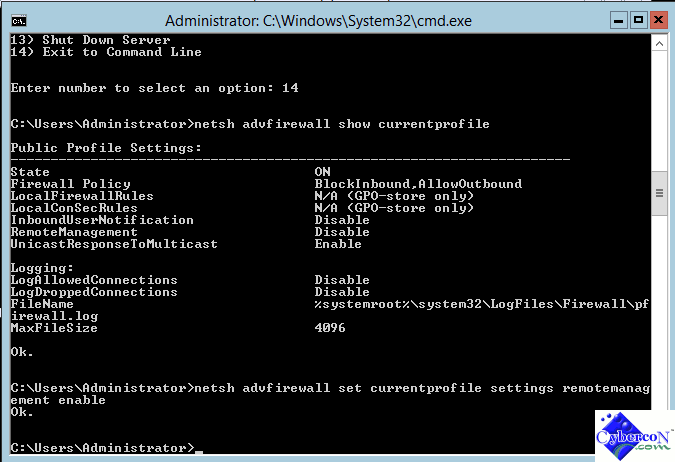 First, we need to drop to the command prompt from the Server Menu. 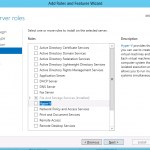 Choose option “14” to exist to Server Configuration Menu. 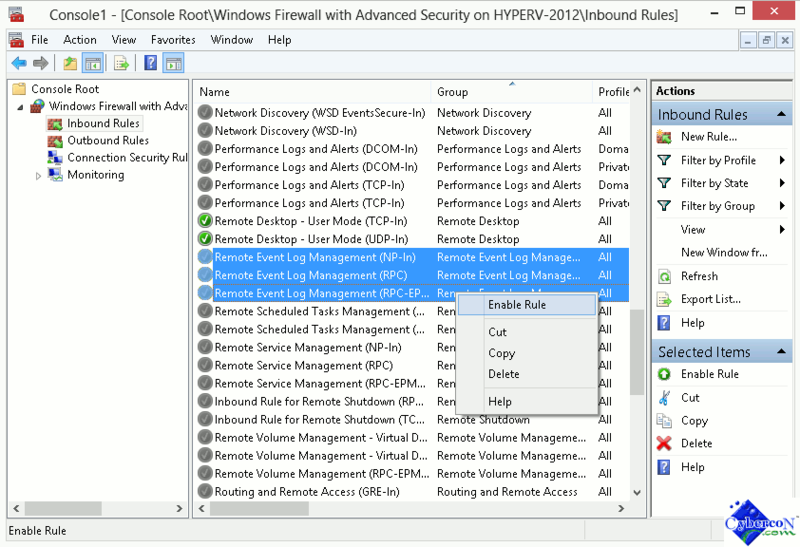 As you can see from the diagram, “RemoteManagement” is disabled by default. 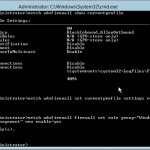 netsh advfirewall set currentprofile settings remotemanagement enable. 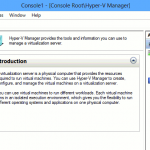 (HYPER-V) 20. Add the following rule as well. 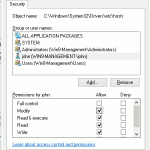 (WINDOWS 8) 21. Now, switch back to Windows 8 machine. 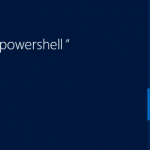 At the PowerShell prompt (Make sure you run the PowerShell as Administrator), enter the following command. 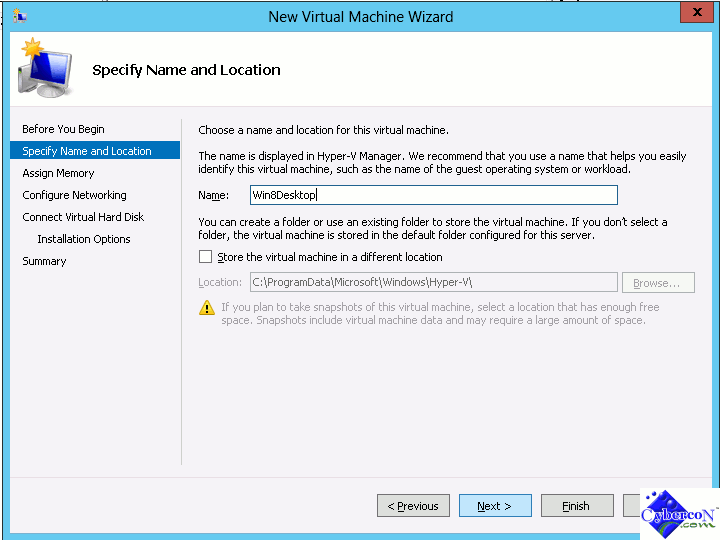 In my case here “<YOUR_SERVER_NAME> = HYPERV-2012” while “<LOCAL_USER_NAME> = john” and “<LOCAL_USER_PASSWORD> = “. (WINDOWS 8) 22. 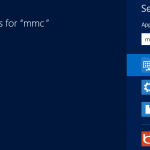 In the Windows 8 client machine, bring up the “Search Page” again and search for “mmc”. (WINDOWS 8) 23. 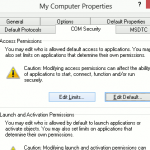 Once the mmc app shows up on the left, right click on it and choose “Run as administrator”. (WINDOWS 8) 24. 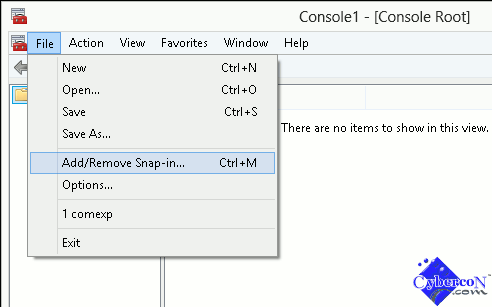 In the MMC console, click “File” from the pull down menu and choose “Add/Remove Snap-in…”. (WINDOWS 8) 25. 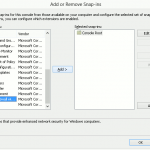 In the “Add or Remove Snap-ins” window, locate “Windows Firewall with Advanced Security” from the Available snap-ins list, highlight it and then click the “Add” button. (WINDOWS 8) 26. 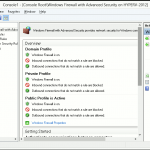 The computer will ask you the location of the firewall, it is either a local machine or remote machine. 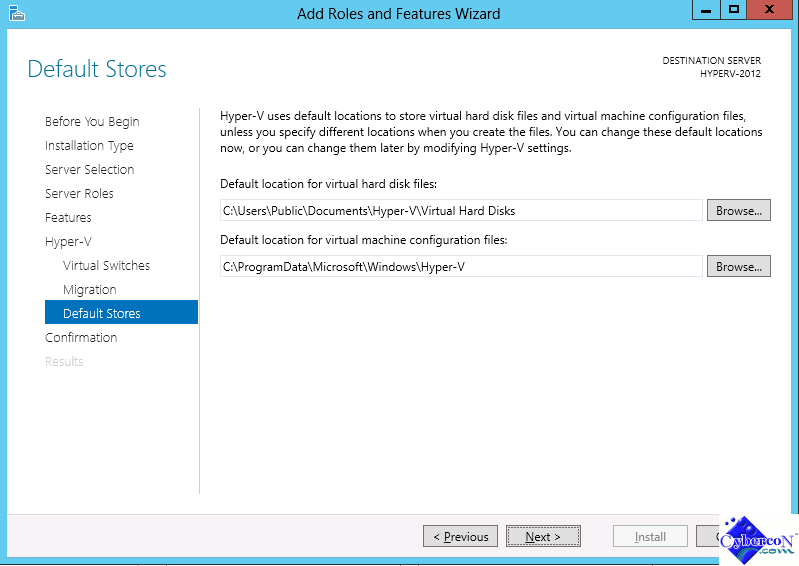 Select “Another computer” and enter the name of the Hyper-V server 2012. 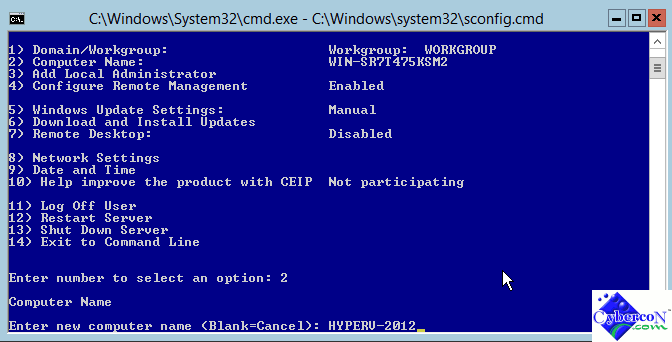 In my example here, I enter “HYPERV-2012”. Click “Finish” to continue. (WINDOWS 8) 27. 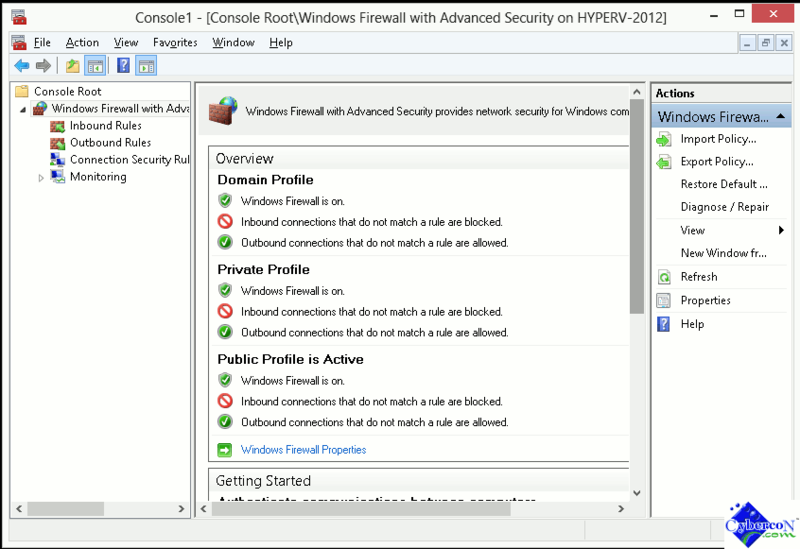 “Windows Firewall with Advanced Security” is now listed in the tree on the left. Expand it and click “Inbound Rules”. (WINDOWS 8) 28. Locate the following rules and Enable them. (WINDOWS 8) 29. 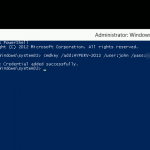 Now, switch back to the PowerShell (run as Administrator) and enter the following command. The system will prompt you for additional questions. Just hit “Enter” to choose the default answer. (WINDOWS 8) 30. 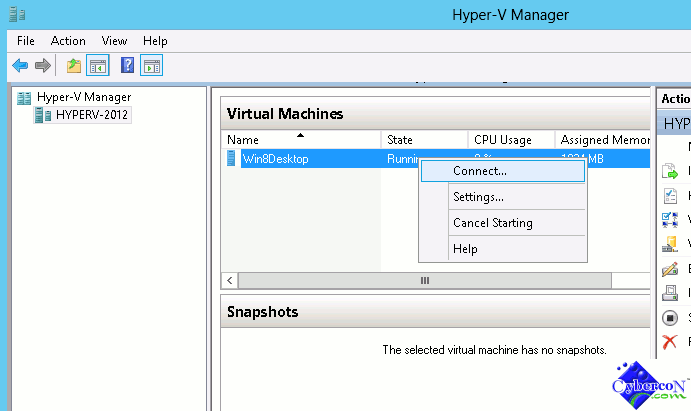 Next, we need to add the Hyper-V management function in the Windows 8 client machine. 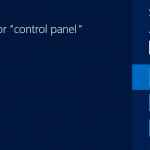 Open the Windows 8 search page and enter “control panel” in the search box. Then click the “Control Panel” App on the left. (WINDOWS 8) 31. 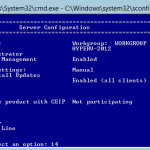 Click “Program” inside the Control Panel. (WINDOWS 8) 32. 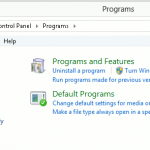 Click “Programs and Features” under “Programs”. (WINDOWS 8) 33. 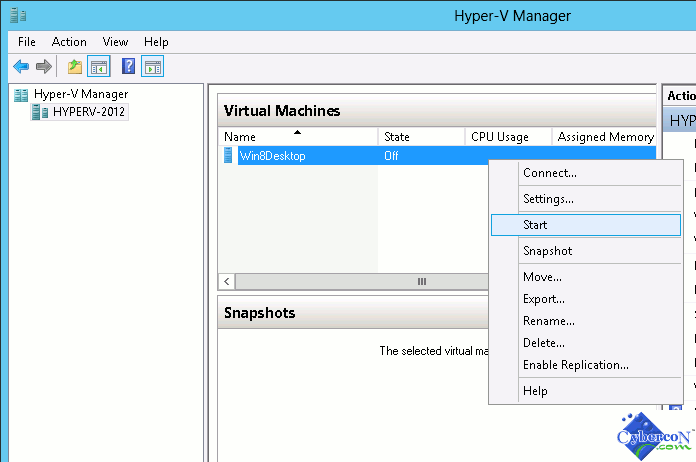 Single click the “Turn Windows features on or off” link on the left and then scroll down and locate “Hyper-V”. Once you find it, check the box next to it. Hit “OK” to continue. (WINDOWS 8) 34. 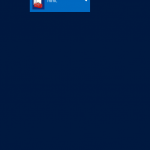 The Windows 8 client machine may need to reboot. 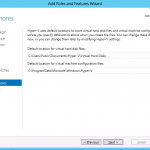 Once it finish rebooting, search for mmc in the Windows 8 search page and run it as Administrator again as in Steps 24 and 25. 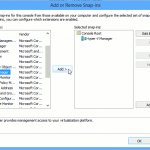 This time, look for “Hyper-V Manager inside the “Available snap-in” list. 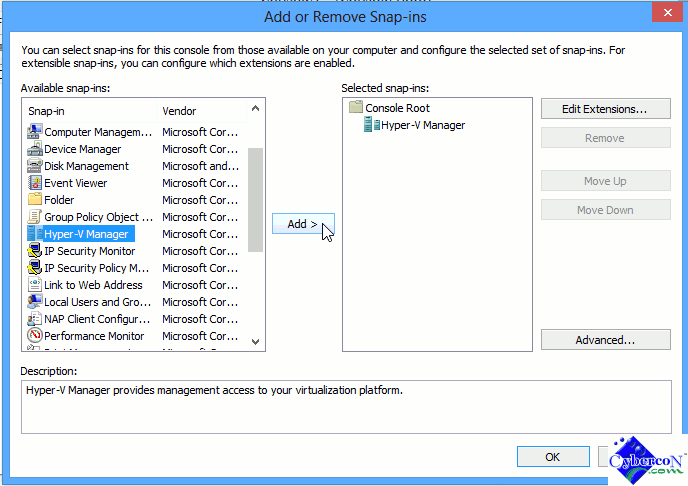 After you locate “Hyper-V Manager”, highlight it and then Add it to the “Selected snap-in” box. Hit “OK” to continue. (WINDOWS 8) 36. 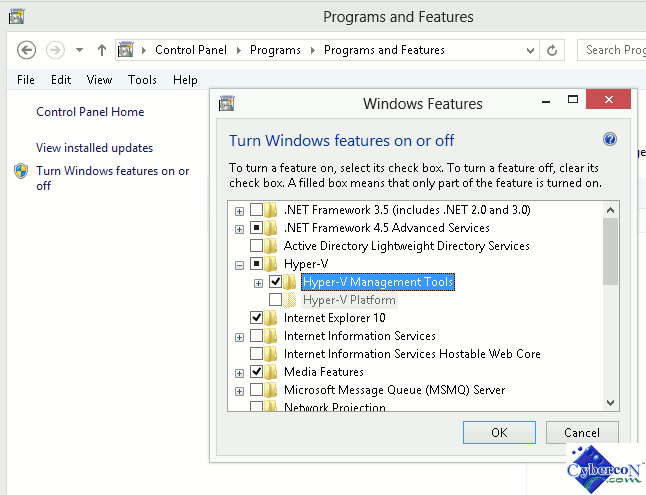 Choose “Another computer” and then enter the Hyper-V server name and click “OK” to continue. (WINDOWS 8) 37. 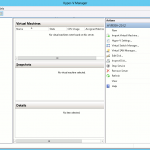 You are not connected to the Microsoft Hyper-V server 2012 via the Hyper-V manager in Windows 8. 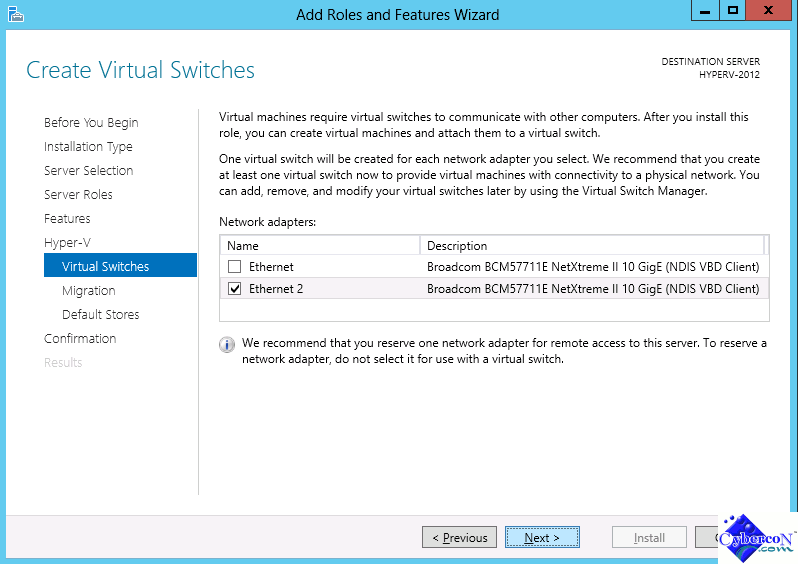 With this, you can create the “Virtual Switchs” as well as “Virtual Machines” remotely via the Windows 8 client.